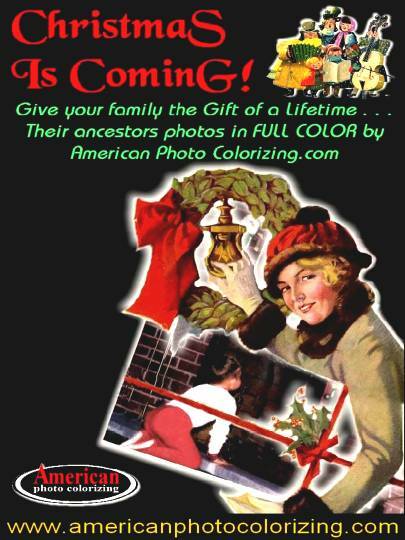 Welcome to American Photo Colorizing .coms’s photo blog. The year is 1944. Here’s a nice slice of American life on the home front during World War II. It may be the midnight hour somewhere in flyover country. A radio may be playing softly in the background. It was the era of the Big Bands: Glenn Miller, Tommy Dorsey, Duke Ellington, Artie Shaw, Count Basie, The Andrews Sisters. 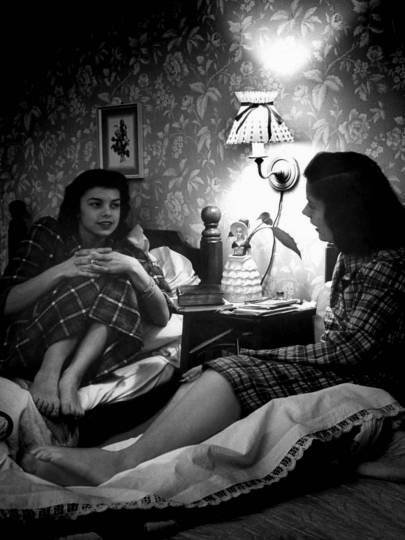 When two teenage girls burned the midnight oil, the pillow talk could last all night, and often did. This conversation from 70 years ago is lost to the ages, but is there any doubt they were talkin’ ’bout boys? 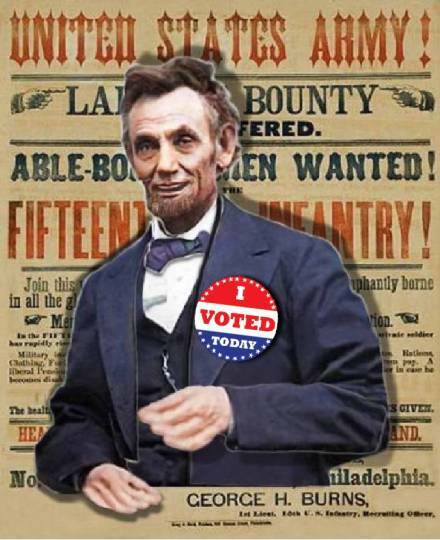 ELECTION DAY 2014 – VOTE! Welcome to American Photo Colorizing .com’s photo blog. We colorize black & white photos for museums, media, multi-media, and families like yours. Our online Photo Gallery features 100s of colorized vintage images available for purchase in Hi-Definition. Today is November 4, 2014 . . . ELECTION DAY 2014! Have YOU voted today? “Winkin’Lincoln” has. Be sure to vote today . . . Your ancestors are counting on YOU! Christmas will sneak up on you before you know it. It isn’t too early to start looking through your family photo collection. A beautifully-colorized image of your ancestors (suitable for enlarging and framing) makes a wonderful keepsake for the entire family.